Heart disease is the number one cause of death in the U.S., according to The Heart Foundation. Go Red For Women is trying to raise awareness while educating others about the dangers of heart disease in women. Here is how you can help. Support Go Red For Women by participating in this year’s National Wear Red Day on Friday, February 5. Since February is American Heart Health month, there is no better time to encourage others to be involved. After you get decked out in all of your red clothing, do not forget to donate to Go Red For Women. You can help them get one step closer to increasing women’s knowledge about heart disease and the scientific research being done to stop it. Don’t have anything red in your closet to wear? That’s okay. Represent the cause at your workplace with a few of these office supplies. Post a picture to our Facebook page of your outfit for National Wear Red Day! 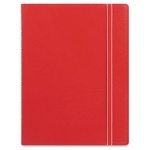 Take notes in style while showing your effort to raise awareness for a great cause. 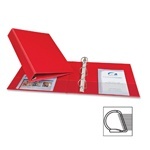 Durable binder perfect for everyday use and it is featured in a great hue. 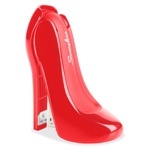 Make your desk that much more fashionable and fun with this high heel shoe stapler. 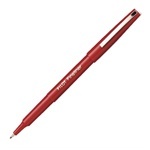 Ditch the boring black pen for the day and rock this perfectly pointed red marker.